Create a winning resume tailored to the needs of Pre-PAs, PA students and practicing PAs. Organize and present your work experience and education background. Highlight your most impressive experiences/achievements. Address any gaps or inconsistencies in your timeline. Show that your experience matches the requirements of your target program or employer. 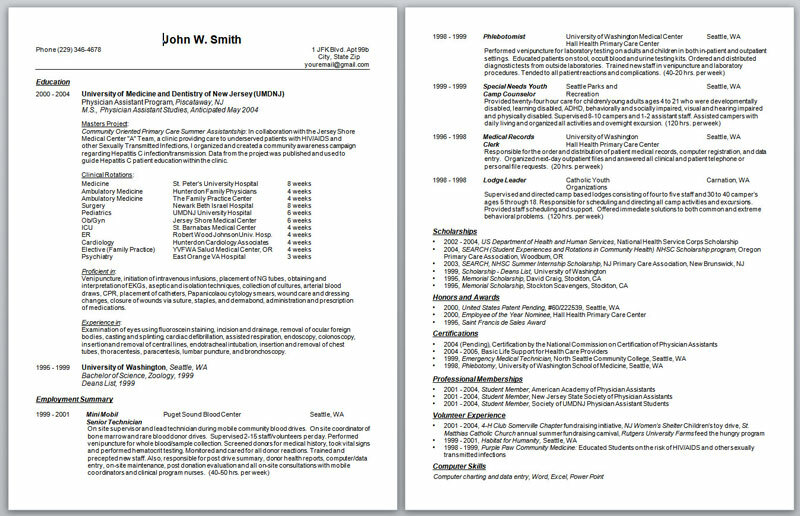 Have a professional resume writer edit, proof, and reformat your resume for guaranteed results. Save you time and save you money. If you are a practicing physician assistant or a pre-physician assistant student making your way through the CASPA application your resume may not be on the top of your to-do list. But if it is not this could be a mistake. Employers and PA school admissions committees use resumes as a way to quickly screen potential applicants, selecting only the individuals they feel are right for the position, so making sure your resume is in tip-top shape is absolutely vital. Okay, then… it’s time to give you all the resume help you need! That’s why we created a team of PAs and professional writers with years of experience in creating and editing resumes and cover letters to help you get the job done with simplicity and style. ** SPECIAL BONUS: Every purchase comes bundled with my ultimate PA job application pack. Which includes preformatted resume templates, cover letter samples, reference letter pages, follow-up thank you letter samples and more. 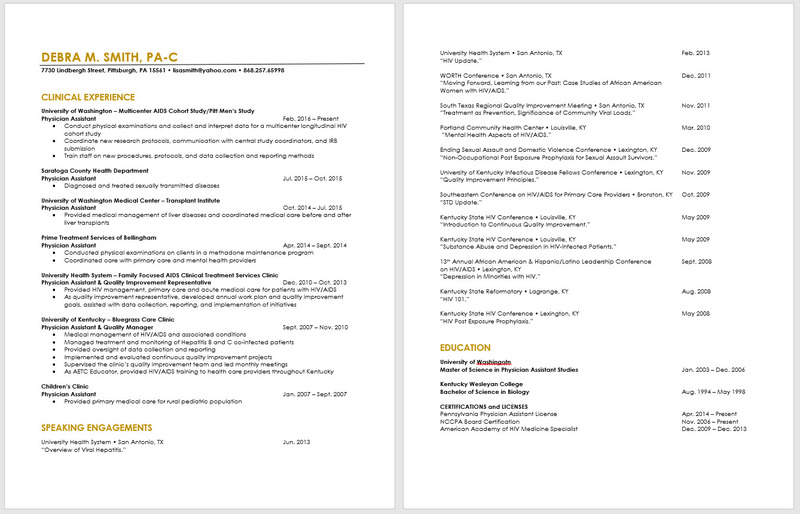 These are templates that I have used and are specific to the PA school application and professional job search. Are you applying to PA school and in need of a professional CV/resume to submit through CASPA? 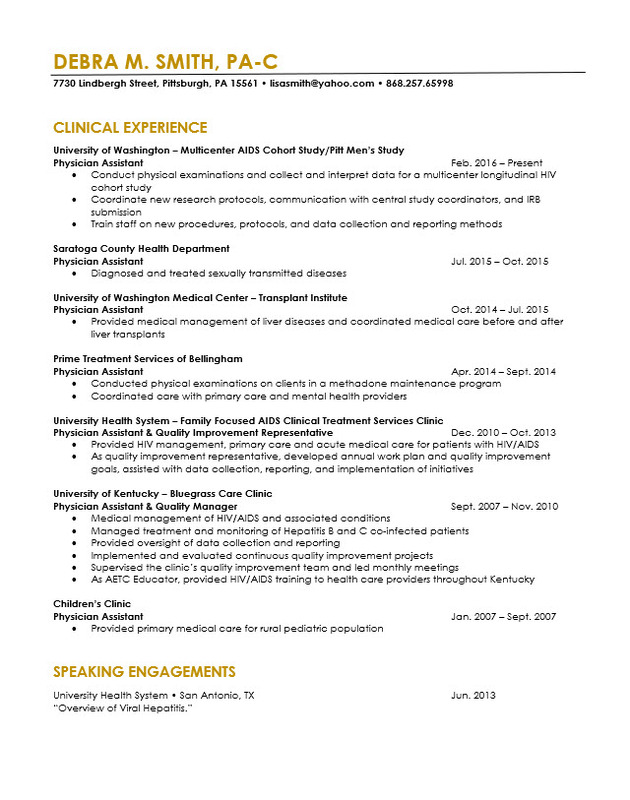 Not the normal generic medical resume but one that will blow the socks off the PA school admissions committee? Are you a PA student or a recent PA school graduate looking to make your clinical experience shine? 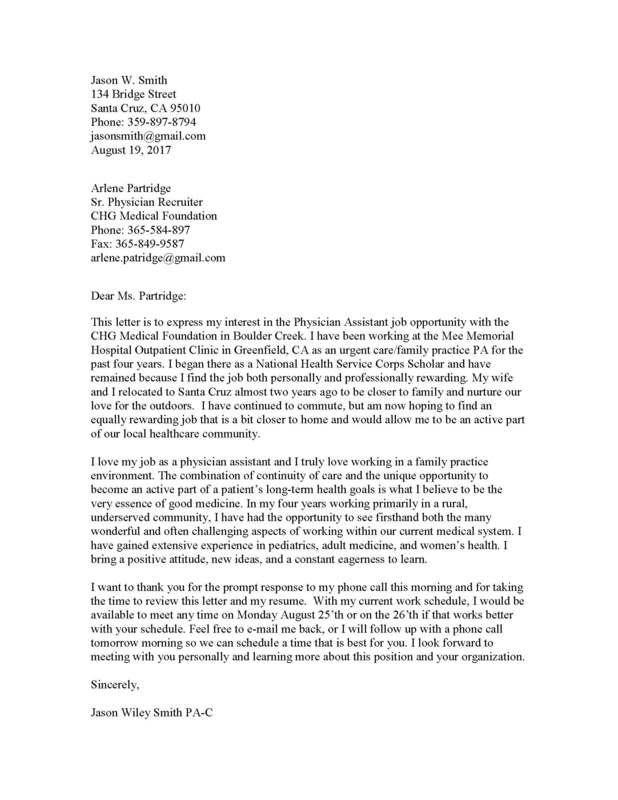 Are you a practicing physician assistant with one year, five years or maybe 20 years of experience in need of an updated resume that will make your future employer weak in the knees? I have been in your shoes. As a physician assistant, you have specific skill sets that change with time and are dependent upon your background and specialty. You need a resume that highlights our experiences specific to our level of training and tailored to your needs. We offer two revisions packages. Each one includes unlimited revisions and comes bundled with my ultimate PA job application resource package. Includes one professional resume with unlimited revisions - We won't stop until you are 100% satisfied! We will edit, revise, check for errors, help with wording and syntax. We work exclusively with PAs - CASPA applicants, new graduates and practicing PAs. 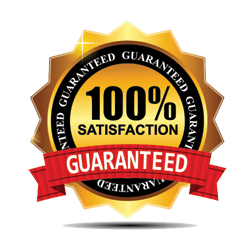 Includes one professional resume and cover letter with unlimited revisions - We won't stop until you are 100% satisfied! 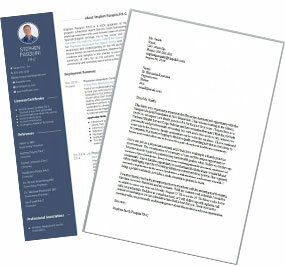 Looking for more Physician Assistant Resume/CV and Cover Letter Samples?